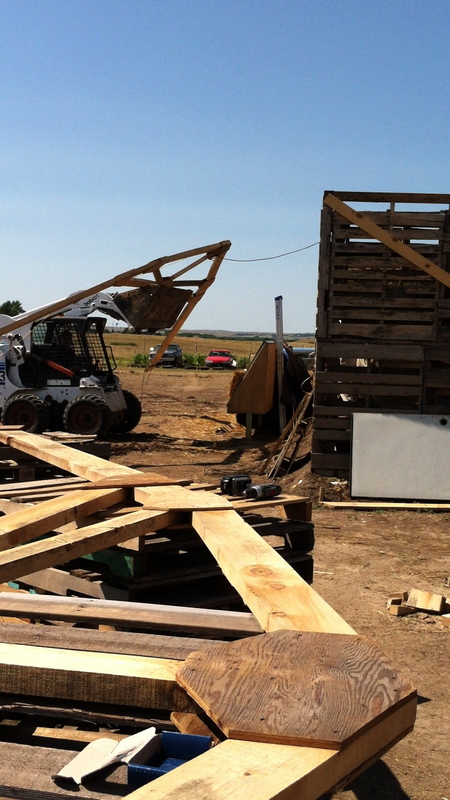 In the summer of 2011, volunteers from all over the country and the world came together to build a house of pallets for a family on the Pine Ridge Reservation. 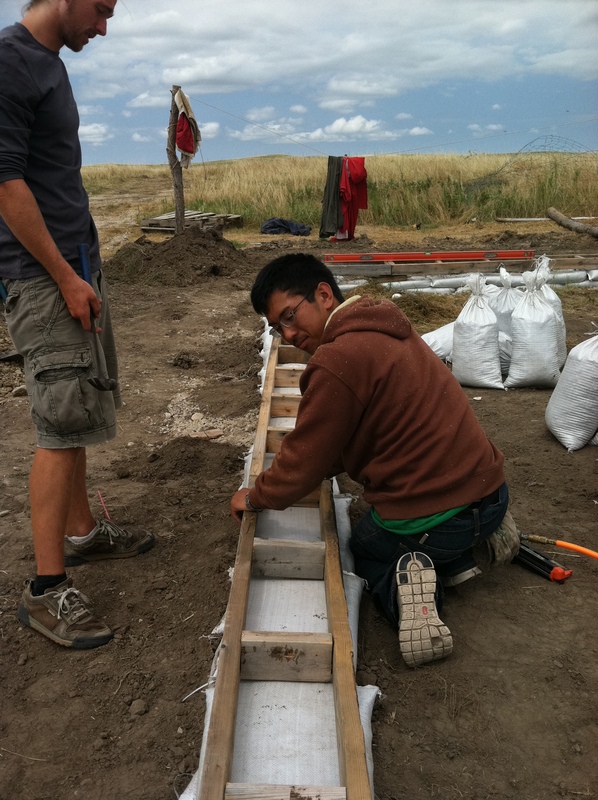 The powerful experiences of living and working on the reservation were transformational for every participant of the build. So powerful, that the house was not able to be finished due to lack of funds and depleted energy. As far as I know, this is how many projects turn out on the reservation. 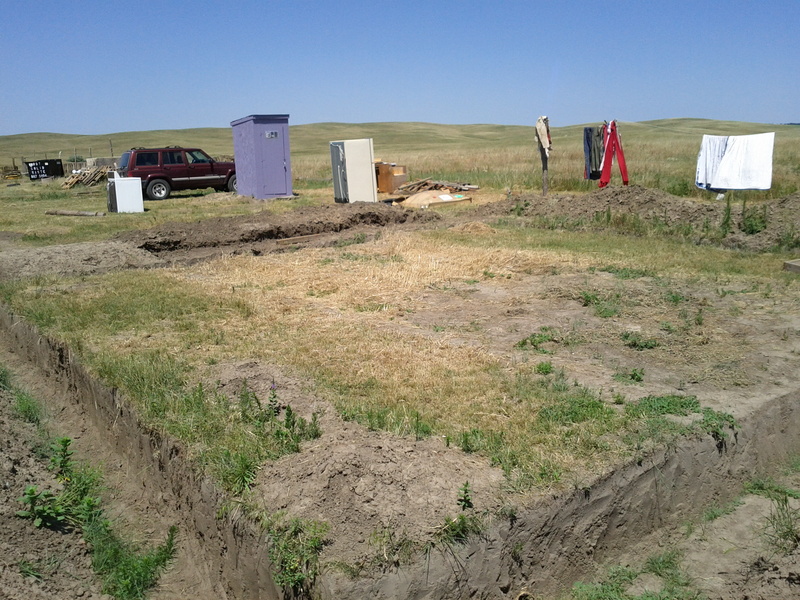 The wear and tear of equipment combined with insufficient funds and low-density infrastructure (the nearest major city with access to utilities is Chadron, NE) tends to put a lot of stress on building projects; especially if the project is led by an outsider to the reservation. 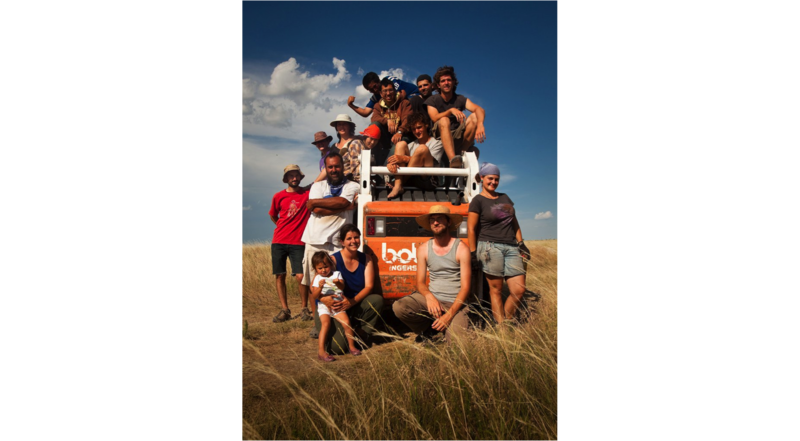 With just 20% of the build left, it is extremely important that we come together to finish this project. 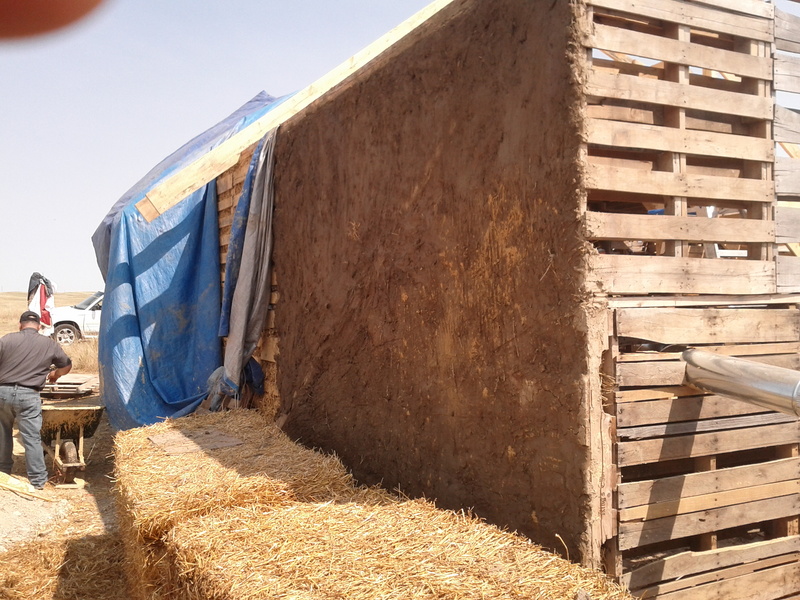 Somewhere during the build, many lost sight of the purpose of the build: To provide our Lakotah friends a beautiful earthen home made of locally produced materials and waste materials: pallets, clay and rough sawn pine! Below are pictures of the build, highlighting many steps along the way. 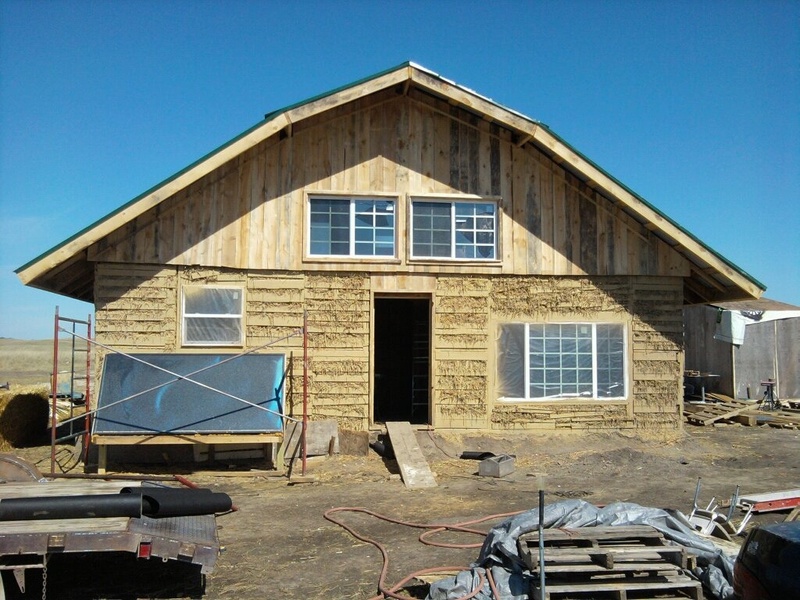 I would like to thank Earth Tipi and Texas Natural Builders for their hard work in allocating funds and taking initiative to start this wonderful project. Hand-dug foundation– before the rubble trench, drainpipe and drywell were installed. 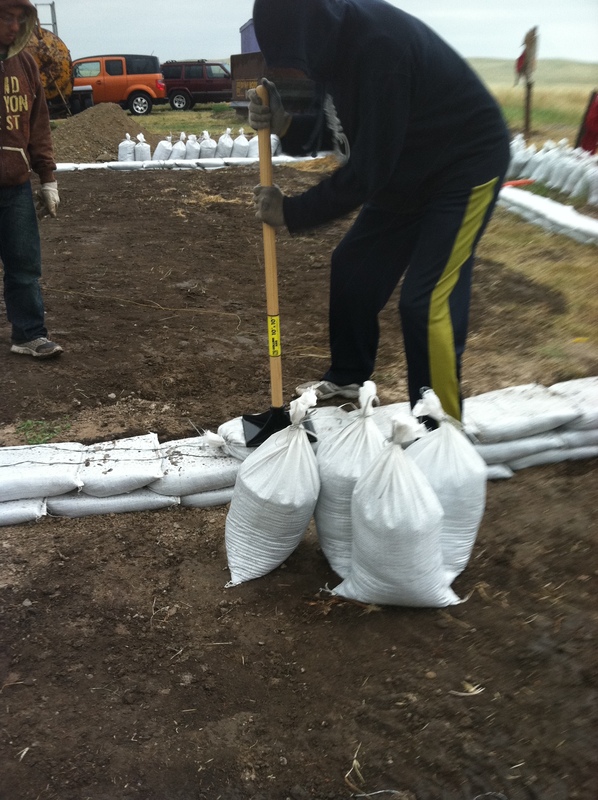 Tamping earth bags, a method for creating man-made sedimentary rock within minutes through mechanical compression. Note: barbed wire acts as a “velcro” to hold the layers of earthbags in place. Box beam base plate to make the connection between the foundation and the pallet walls. Pallets are nailed to the ply-sheated box beam. Walls up! Note the timber framed post and beams and floor joists for the loft. This picture was taken before the front exterior was plastered. 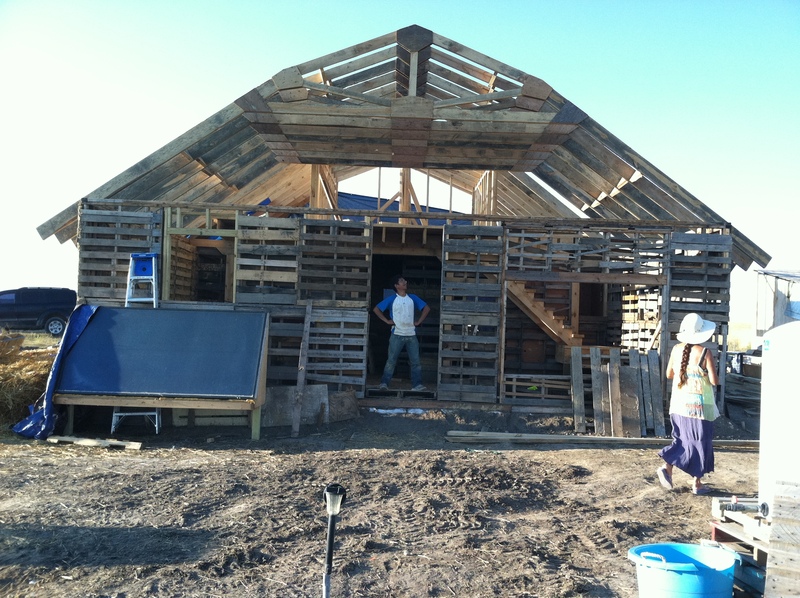 Note the Slip-straw infilled pallet walls, south facing windows, solar air heater, rough-cut pine gambrel trusses, and metal roof. 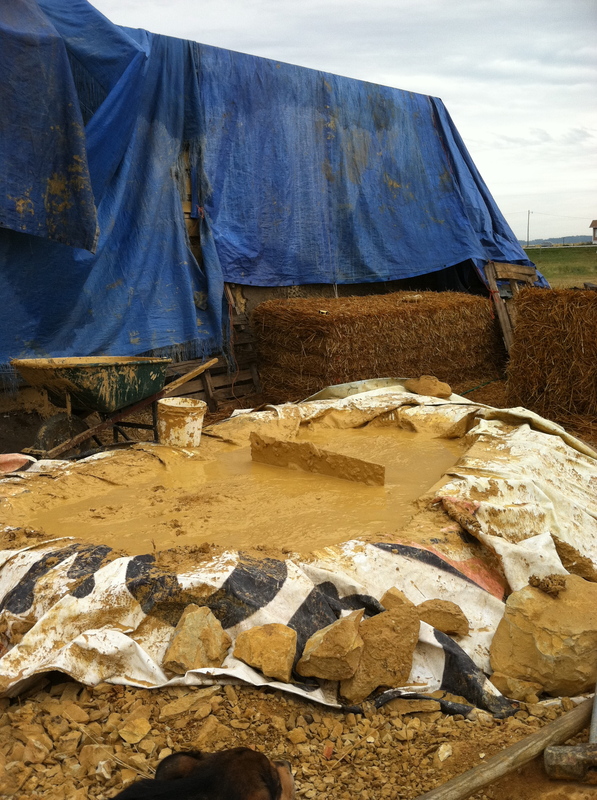 Finishing up with earthen plaster: 70% sand 20% clay 10% manure + sifted straw… check out the busted concrete terrace! Cool! Keep us posted! Carry yourselves well! This is amazing! I’m sad that the project wasn’t fully completed but it seems there is a good roof. I have a question for myself though. 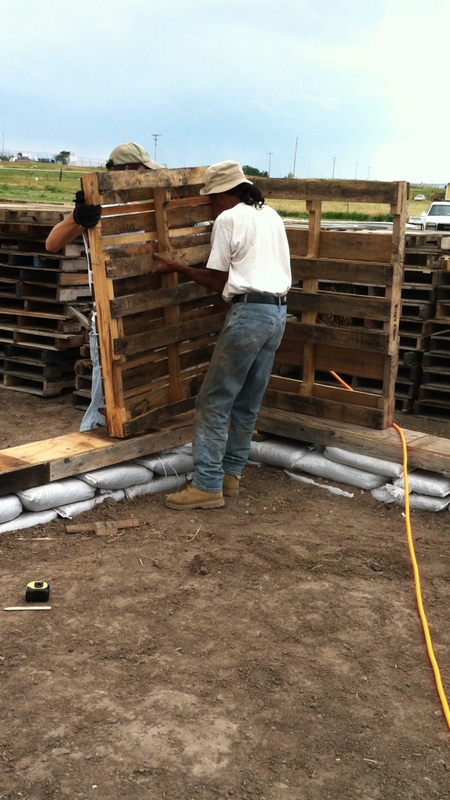 I am very interested in building some structures out of pallet wood. Is there certain regulations for this or do you just follow the standard building codes? 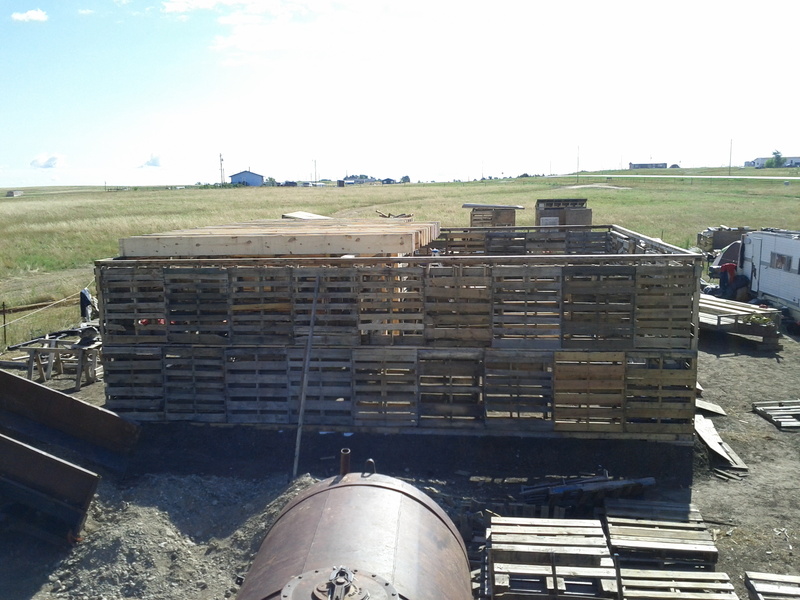 Hi Jeanette, it depends on what it is exactly you are using the pallets for. If you are going to be doing any kind of structural/commercial work, I would assume that you would have to meet regulations and codes and potentially have to face an inspector. 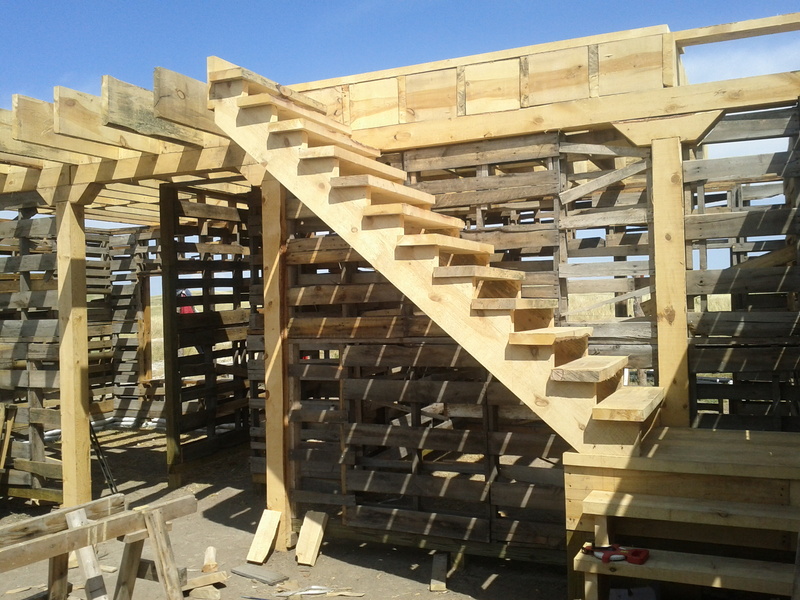 I’m not sure whereabouts you are building, but in most places, utilizing repurposed pallets as structural framing members might present a hurdle or two in the inspection process. 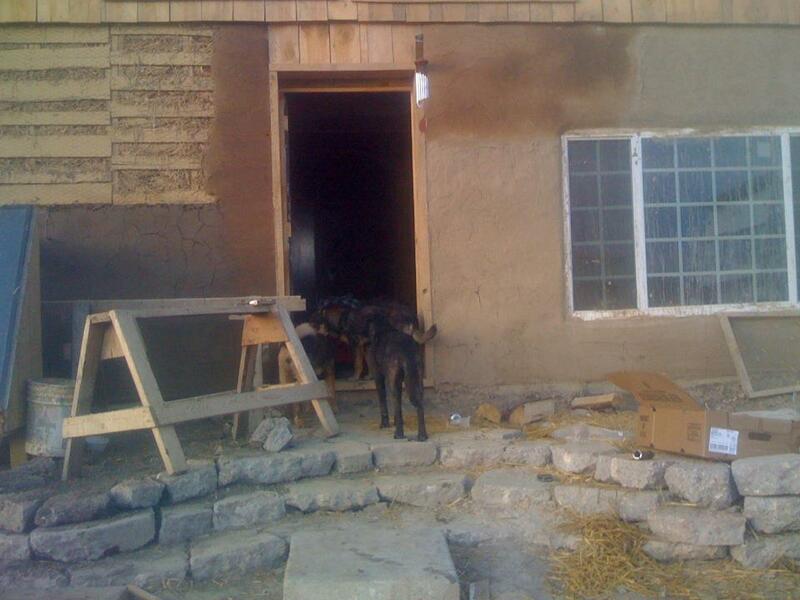 On the rez, building codes are less inhibiting, allowing for more experimental construction work. Hope this helps!